Cindy Luis is the office manager at Chippewa Valley Property Management. She has been with Chippewa Valley Property Management since 2013. Cindy is originally from Chippewa Falls but spent much of her adulthood in Santa Ynez Valley, California where she was a regional and property management franchise manager. She now lives back in Chippewa Falls with her husband Matt. Her son, Tom lives in California with his wife and new baby, Ivy, who Cindy takes every chance she can to go visit. Todd and Patrick will be the first to admit Cindy is key to the organization and communications with property owner believing good communication is the key management. 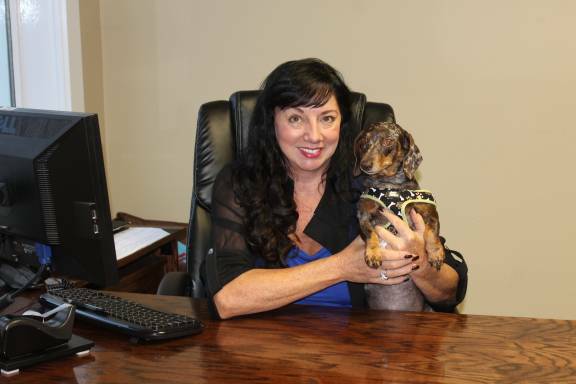 Cindy also has her most loyal friend and office mascot, Stella, who is a loved part of our office and team. Contact me and I'll get back to you as soon as I can!